She combines excellent legal knowledge with incisive legal analysis and fearless advocacy. 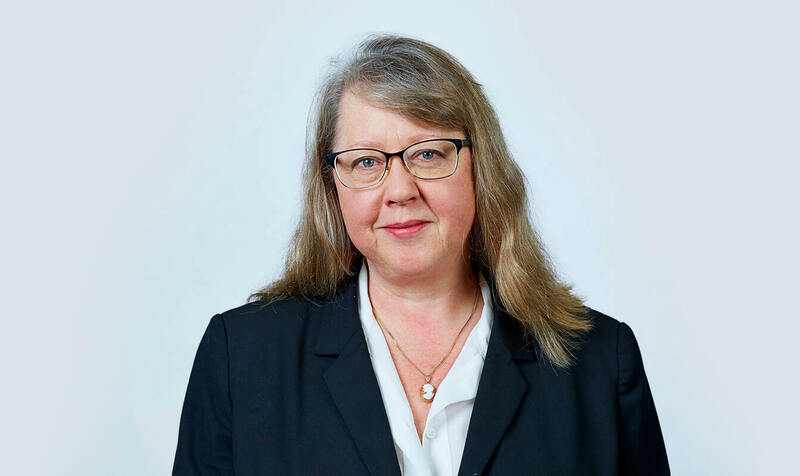 Nina is the Deputy Head of Garden Court North Chambers and was appointed QC in March 2019. She is a senior criminal defence practitioner of considerable experience and as a newly appointed QC Nina will continue to practice in the area of criminal defence. As a junior she was regularly instructed as in the most serious of cases, particularly those cases involving allegations of murder, manslaughter, drug trafficking, money laundering, serious fraud, computer misuse, allegations of serious violence (including child cruelty), sexual and Mental Capacity Act offences. She has extensive Court of Appeal and CCRC experience and has also been instructed in the Supreme Court. Her cases frequently involve complex evidence of the use of ‘cutting-edge’ technology and sophisticated anti-surveillance techniques by OCGs. She also has extensive experience in cases involving vulnerable witnesses and defendants involving issues of mental health or capacity, often in combination with concurrent Family Court or Court of Protection proceedings. Nina has specialist expertise in dealing with linked criminal and Family Court/Court of Protection proceedings, including those involving Hague Convention proceedings (international child abduction). Nina is frequently briefed to defend education and health care professionals in cases alleging violence, sexual assault, negligence and cruelty. Nina worked as a professional theatre administrator in London and was an active member of the Greater London Council’s first Community Arts Committee prior to the abolishment of the GLC. She later qualified for the Bar, obtaining an Outstanding classification and receiving the ICSL Certificate of Honour. She joined Chambers in 2008 after 15 years as a busy criminal barrister in London. She is a committed campaigner for animal as well as human rights. Nina’s busy criminal defence practice in the Crown Court reflects her commitment to representing defendants considered ‘vulnerable’. In addition, a large proportion of her cases relate to criminal prosecutions where defendants are also party to linked concurrent proceedings in the Family Court or Court of Protection and she regularly lectures and writes about the complexity of cross-disclosure between these vastly different jurisdictions. Nina has also published written articles on the subject of vulnerable witnesses and defendants and has been interviewed on Woman’s Hour. R v Anderson (2017) “Operation Vertex” : Case involving the supply of large quantities of Class A drugs by a Manchester Organised Crime Group. R v C (2017) : Prosecution of parents alleged to have concealed a birth and subsequently murdered their newborn baby. The defence challenged the sufficiency of the evidence of cause of death and a successful submission of no case to answer resulted in an expedited application by the prosecution for leave to appeal this terminating ruling. The application to the CCA was refused and the defendant acquitted of murder. R v Ashley Rhodes & ors (2013): One of four defendants accused of distributed denial of service (DDoS) internet offences carried out by Anonymous “Hacktivists”. R v Gnango  UKSC 59 Supreme Court: Prior to recent developments, considered to be the leading case on joint enterprise in the context of a murder conviction based on transferred malice. 3/5/11 Advocacy: How to Handle Vulnerable Witnesses – LexisNexis Current Awareness. Association of Lawyers for Animal Welfare. Nina’s Privacy Notice may be viewed by clicking here.